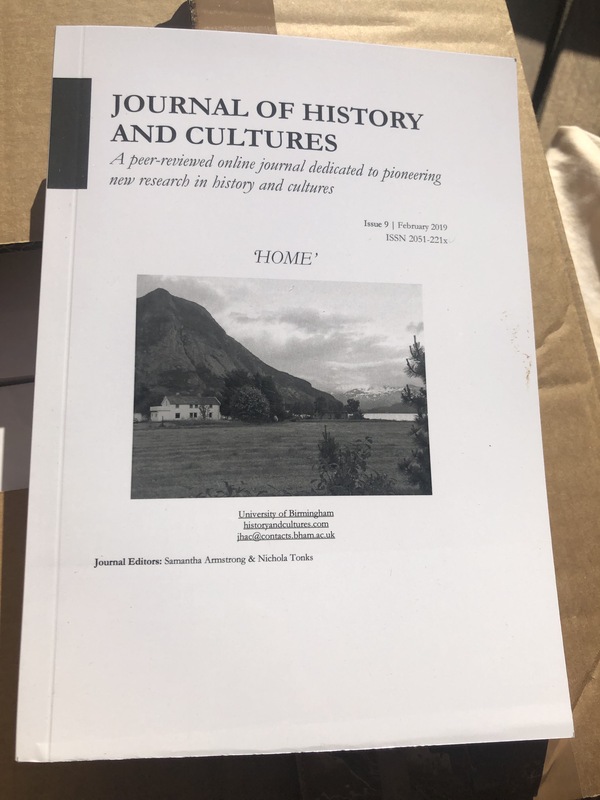 Welcome to the Journal of History and Cultures (JHAC) – a peer-reviewed online journal dedicated to pioneering new research in history and cultures. Drawing on the latest historical, cultural, political, social, and theoretical analytical research, JHAC’s overarching purpose is to foster lively and productive academic debate. Please email all enquiries to jhac@contacts.bham.ac.uk, and remember to join the JHAC community on both Facebook and Twitter @UOBJHAC for regular updates. After much hard work by all the individuals involved with this publication, we are proud to announce the publication of the newest edition! The theme of this edition is ‘Home’, and includes two book reviews, and six research articles that expand our understanding of the concept of home in Europe, North America and Africa. The time frame goes from early modern to modern. So please, go to the current issue page, download and enjoy! In further news, the printed copies of issue 10 is now available! This is our first printed edition! Email us for your copy. Limited numbers available! The Journal of History and Cultures (JHAC) is inviting the submission of articles or book reviews for Issue 10. JHAC is a peer-reviewed journal dedicated to pioneering new research in history and cultures.Drawing on the latest historical, cultural, political, social, and theoretical analytical research, JHAC’soverarching purpose is to foster lively and productive academic debate. Articles should be between 5,000 and 7,000 words long (not including bibliography and footnotes). Book reviews should be between 750 and 1,000 words. Please contact us (jhac@contacts.bham.ac.uk) or visit our website (http://historyandcultures.com) for more details about submissions and available books for review.